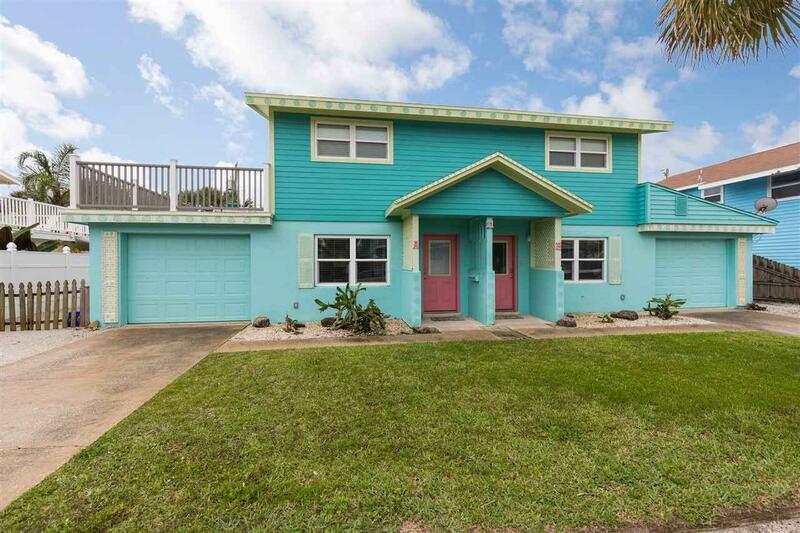 For anyone who knows and loves St. Augustine beach, this beachside property is an icon! 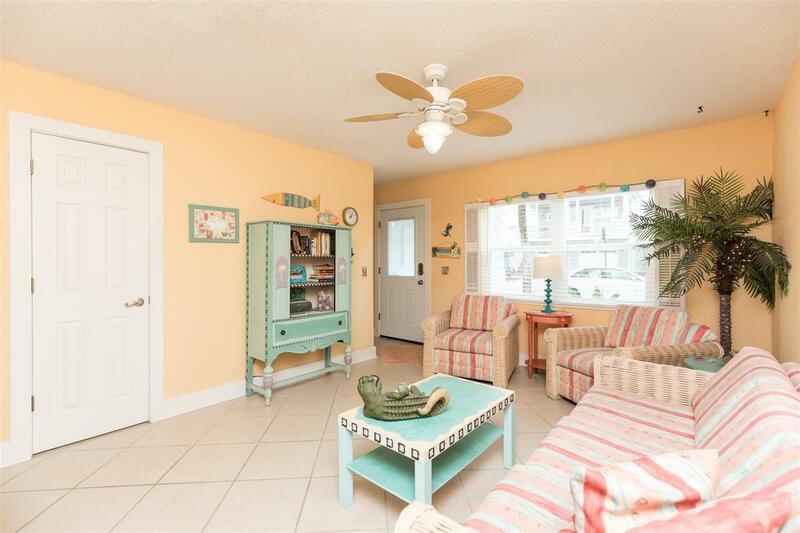 Known for itÃ¢â‚¬â„¢s cheerful exterior, this townhouse-style duplex offers two units each with two bedrooms, one and half baths, screened patio, rooftop decks and garage. Enjoy the gorgeous ocean views from the east side deck. 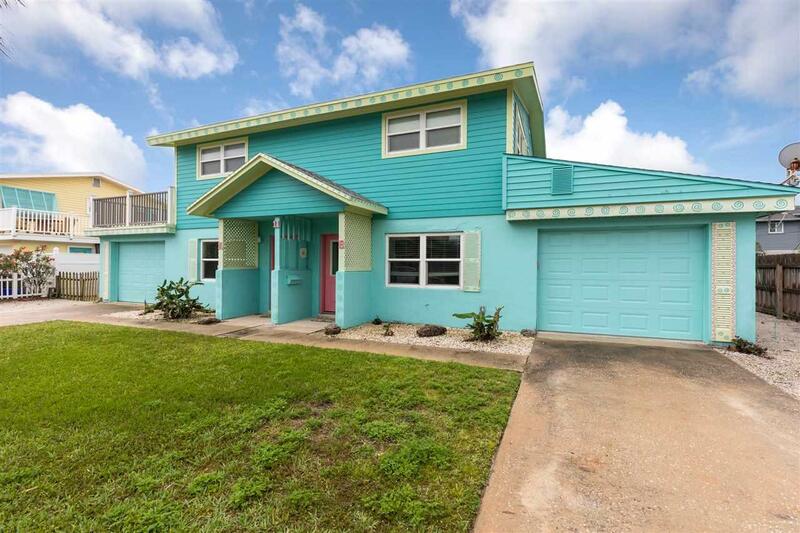 Located just four doors from the sand and on an oversized 75Ã¢â‚¬â„¢ x 93Ã¢â‚¬â„¢ lot, this solid, concrete block/frame structure has updated Hardy board siding, newer windows and comes fully furnished. Impeccably maintained yard with ample space for a pool. Both units are rented through VRBO with 2017Ã¢â‚¬â„¢s gross rentals at $45,550. 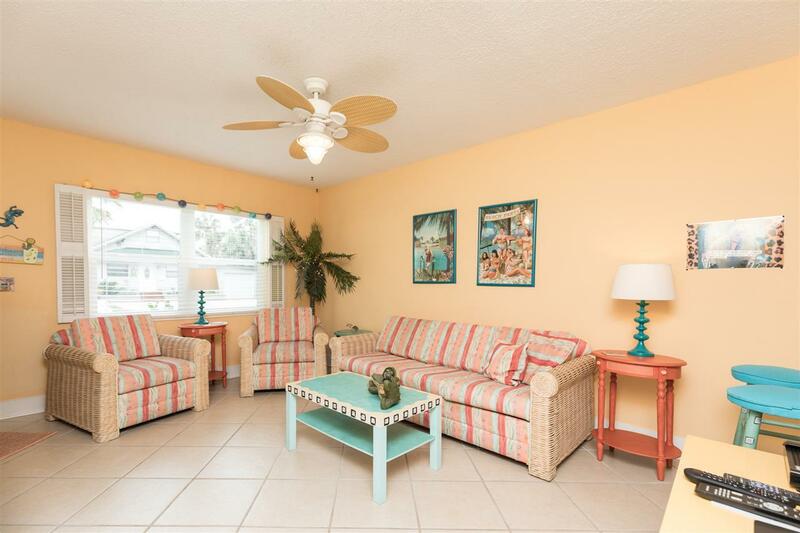 With a little polishing, opportunity abounds here - this investment property is poised to maximize the areaÃ¢â‚¬â„¢s high demand for long-term rentals, vacation rentals and oceanside residences. Transferrable Vacation Rental License.